Article no. : 2010-3213 Material: Sterling Silver Considered a symbol of purity by the ancient Aztecs, the December Poinsettia represents good cheer and success. 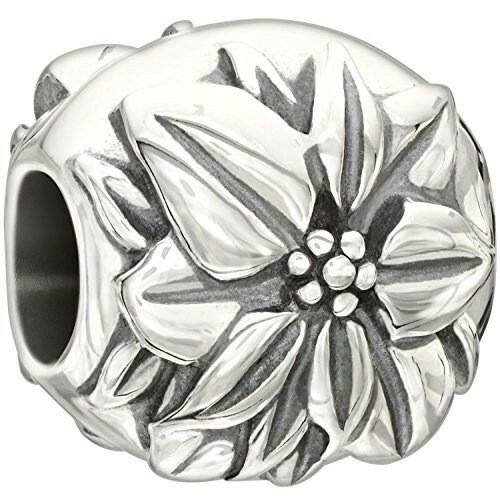 Celebrate wishes of merriment with this impeccably detailed, .925 sterling silver bead.